Leading Supplier and Distributor from Delhi, our product range includes Branded Products such as Reebok Watches, Reebok Track Suits, Reebok Shoes, Reebok Sippers, Reebok Sunglasses, Reebok Bags and many more items. 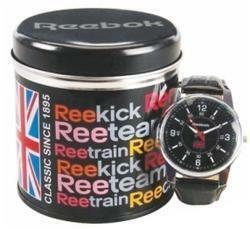 We are an incomparable name in offering a superior quality Reebok Watches. The provided watch is well checked in terms of quality for supplying a flawless range. This watch is designed with precision using best quality of material and largest techniques under the observation of professionals keeping in mind latest market trends. Our clientele can avail this watch from us in varied sizes at nominal price. Looking for Branded Products ?